NWFR was formed December 7, 2006, from a vote to merge Whatcom County Fire Protection District #3 and Whatcom County Fire Protection District #13. 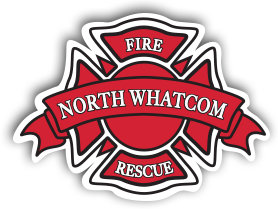 In January 2007 the fire district officially changed their name to Whatcom County Fire Protection District #21 and operates as North Whatcom Fire and Rescue. 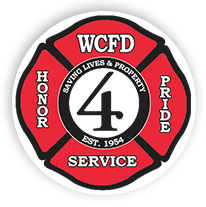 NWFR formed a functional consolidation with Whatcom County Fire Protection District #4 on July 1, 2011. NWFR is a combination fire department, relying on both career and volunteer firefighters to provide fire suppression and emergency medical services. Our career firefighters are all medically trained to the level of EMT-Basic. The Fire District operates from 11 fire stations with four full paid engine companies with two of those companies being cross-staffed to ladder trucks, ad one part-paid engine company. Fire District operations include fire response, emergency medical services including BLS transport, rescue, and hazardous materials response at the operations level. North Whatcom Fire and Rescue is managed by Fire Chief, William Pernett. Chief Pernett reports to the Board of Fire Commissioners who provide legislative authority for the fire district. The district also includes management and administrative staff as well as career and volunteer firefighters.